The capture of SS Lieutenant Colonel Adolf Eichmann by Israeli agents in Argentina in May of 1960 and his subsequent trial in Jerusalem by an Israeli court electrified the world. The public debate it sparked on where, how, and by whom Nazi war criminals should be brought to justice, and the international media coverage of the trial itself, was a watershed moment in how the civilized world in general and Holocaust survivors in particular found the means to deal with the legacy of genocide on a scale that had never been seen before. Award-winning historian Deborah E. Lipstadt gives us an overview of the trial and analyzes the dramatic effect that the survivors' courtroom testimony-which was itself not without controversy-had on a world that had until then regularly commemorated the Holocaust but never fully understood what the millions who died and the hundreds of thousands who managed to survive had actually experienced. As the world continues to confront the ongoing reality of genocide and ponder the fate of those who survive it, this trial of the century, which has become a touchstone for judicial proceedings throughout the world, offers a legal, moral, and political framework for coming to terms with unfathomable evil. 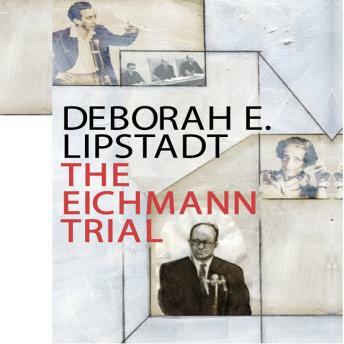 Lipstadt infuses a gripping narrative with historical perspective and contemporary urgency.